This trip is currently SOLD OUT for 2018. If you're interested in this trip, Orbridge is working on another departure date. please contact our office at (800) 232-8278 to be added to the waitlist. 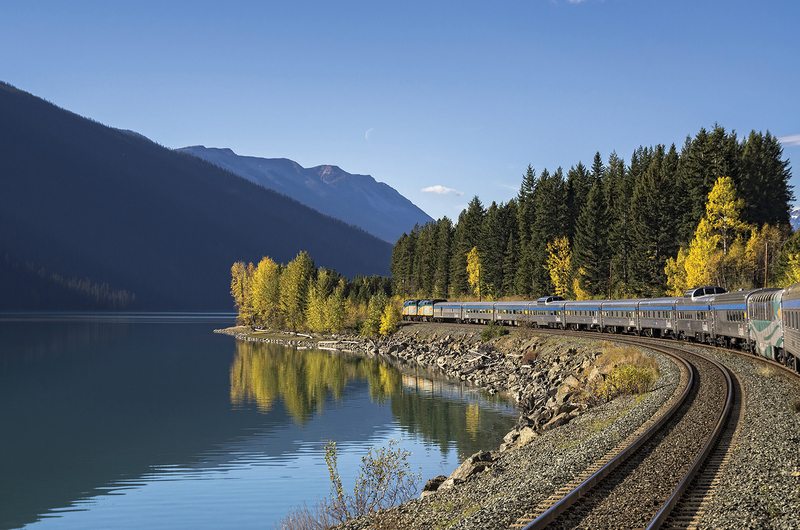 Discover the majestic beauty of Canada on a nostalgic rail journey from Toronto — across five provinces, through the Canadian Rockies and into the Pacific Northwest. This once-in-a-lifetime trip brings back the golden age of train travel. Enjoy premium accommodations onboard VIA Rail’s The Canadian, with the perfect combination of modern and elegant cabins, private concierge service, delightful meals prepared by onboard chefs, all-inclusive bar service and observation cars for viewing Canada’s great wilderness. With time to explore Niagara Falls, Toronto and Vancouver, this is a unique opportunity to get to know the beauty and history of our northern neighbor.